Its a great idea to buy a sample box if you're not sure what flavour of protein you want to go on to and buy next or even just to have a taste and try of some of the different flavours that Myprotein has to offer. I've only tried a few at this point, but all of them are very nice with the natural chocolate being the nicest one yet. One thing I would say that would be nice though would be if there was a few different boxes with some of the other flavour samples in it so that you could try even more of the different flavours that Myprotein have to offer. It is worth the purchase though as it does give a good range of flavours. 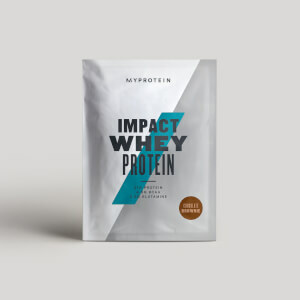 Perfect way to get started with myprotein impact whey protein. I was able to sample a wide selection of flavours of the protein before committing to an entire kg of one flavour. My favourites were the pecan pie, banana, and strawberry rolie polie. Will now be buying a kg bag of each. Hi there, I`m a female ultramarathon runner and started using whey about 18 months ago, mainly because I don`t eat meat and struggle to get enough protein. I usually have a shake between training and shower, before or with food. Pretty happy with the results, I gained a little muscle but no body weight, and I never had GI problems from it. No idea if it`s the protein or training but I got some PB`s and medals. The MP products are easy to use, rather cheap, taste ok and mix well. Had big bags of chocolate brownie (great!) and chocolate nut (good, but tastes like hazelnut) that I usually mix 2:1 with flavourless whey because they are quite sweet. Had samples of cappuccino and cinnamon danish but I found them way too sweet so I decided to get this sample pack to look for something new. I mix a 25 g pack with some unflavoured protein and half (almond) milk and water. Didn`t think I`d like the fruity ones, but I got surprised. I LOVE the raspberry and vanilla, it`s like a good raspberry yogurt. Pure raspberry, strawberry and the blueberry cheesecake are nice too, not too artificial in taste. Salted caramel is drinkable but mainly sweet, if I had tasted it blindly I might have said it`s vanilla. Vanilla is... vanilla. Sweet. Can imagine it`s quite nice when mixed with some fresh berries. Banana is absolutely disgusting, I couldn`t even get it down after I blended a big handful of blueberries into it. If you want a nice banana shake, try this: a fresh or frozen banana, a big scoop of unflavoured whey, half a scoop of chocolate brownie or chocolate, water or almond milk. In winter with some cinnamon, in summer with ice cubes. It`s heaven. Water is ok, milk is too creamy for my taste. I usually take half/half water and unsweetened almond milk. Love this selection box, gives you a chance to sample various flavours without needing to buy a big bag first. Great for those who like variety. I was fed up sticking to the same flavours and absolutely love the variety given in these selects. 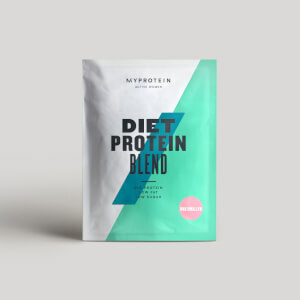 The selects offer you choice every time you reach for your protein shake. It was surprising to enjoy some of the flavours on offer, would highly recommend! Even tough more expensive then buying a big bag, i went for these to mix things up a bit.. love the flavours and they taste so good!